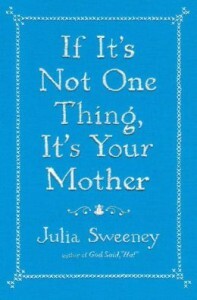 On TWE RADIO June 8,9–In Julia Sweeney’s new book, If It’s Not One Thing, It’s Your Mother (@simonschuster), she shares her decision to adopt as a single woman; her trip to China to get her new baby daughter, Mulan; and how she met her husband and formed a family unit. 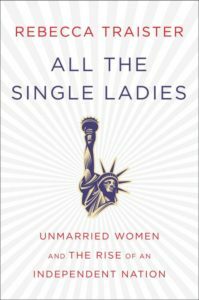 She details all the trials and tribulations along the way, adding her comedic touch. Julia was a cast member of Saturday Night Live where she created the androgynous character “Pat.” Her one-woman shows in which she explored love, cancer, and faith displayed her talents as a performer and writer. This honest memoir follows a month in her life when she had a vacation from her family. As she says poignantly, “I took so long to assemble my lovely family. If only they would disappear.” They did for that short time and she reflects on her life with and without them. This is a funny and thought-provoking book that will amuse and cause you to think about your own definition of family and perhaps give you a new appreciation of your mother. We heartily recommend.